When I say I am staying in a museum, I get some strange looks. To keep them going, maybe I could add that when I was a student I lived in a fire station, and once I slept in a stable. But it’s the museum that’s important, not strange places I have scrambled about looking for toothpaste. 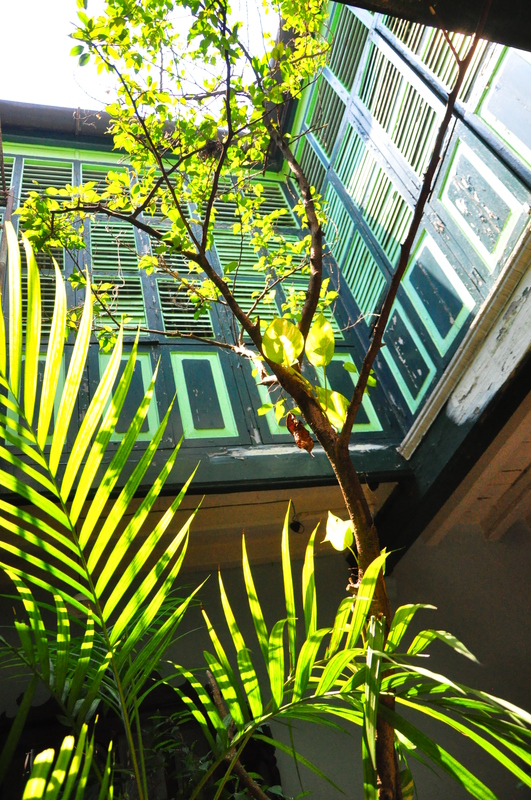 The museum is actually a beautiful Chinese shophouse with gorgeous courtyards full of plants and I loved it, even though the full importance of the historical aspects escaped me. Built in 1875 and located in the heart of the George Town world heritage site zone, the house has a permanent exhibition on Sun Yat Sen, and his early revolutionary period in Penang when he planned a historic uprising of the 1911 Chinese Revolution. To my eternal shame, I wasn’t really sure who Sun Yat Sen was when I first arrived, but I discovered that Sun is referred to as the ‘Father of the Nation’ in China, as he was the first president and founder of the republic. He played an instrumental role in the overthrow of the Qing dynasty during the Xinhai Revolution, and although considered one of the greatest leaders of modern China, Sun’s political life was one of constant struggle and frequent exile. This house in Penang was one of his homes during just one of those frequent exiles. The house is a place of pilgrimage for many Chinese, particularly those visiting from Taiwan and Hong Kong. 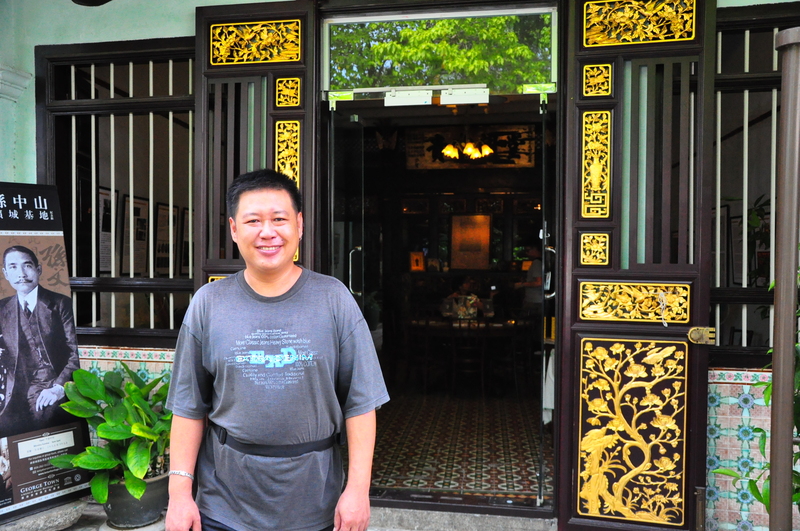 Two brothers, Alvin and Kenny Wong, take care of the house during the day, and conduct tours in English, Thai, Mandarin and Bahasa Malaysia, plus another four Chinese dialects including Cantonese. They are very friendly and love visitors. They are very knowledgeable about Sun too. Born in 1866 to a Cantonese Hakka family in Guangdong province, at the age of 13 Sun went to live in Honolulu with his brother where he learnt English and British history. After being sent back to China amid fears he would embrace Christianity, Sun entered an arranged marriage when he was 20, and acquired another wife 1n 1915. He also had a ‘revolutionary companion’ known as Madam Chen Cuifen who, at 19, was smuggling firearms and gathering intelligence for the Chinese Revolution. Sun died of liver cancer on March 12, 1925, aged 58 at the Rockefeller Hospital in Beijing. His remains are buried in the Sun Yat Sen Mausoleum in Nanjing. Apart from Sun, other distinguished guests who have stayed at the house include the novelist Peter Carey, who wrote the Booker Prize-winning Oscar and Lucinda. Khoo Salma Nasution, whose family own and maintain the museum, is a noted writer and historian. She has not only produced a number of significant books about George Town, including co-authoring Heritage Houses of Penang, but also runs a publishing company called Areca Books which focuses on local heritage and history.